This is a detailed post about a popular 403(b) annuity product. As a participant in a 403(b) account, you have the choice to invest in either mutual funds or annuities. If you work in K-12 school and participate or plan to participate in a 403(b), there is a good chance you may get pitched the AXA EQUI-VEST variable annuity. In 2017, the North American Securities Administrators Association listed “variable annuity sales practices” as one of its top investor threats. If you own this annuity, or you’ve been pitched this by an agent/advisor and want an independent, objective review—then you’re in the right place. For readers who have found my website and don’t know much about me, I am a fee-only financial planner held to the Fiduciary Standard. I am legally obligated to make recommendations that are in the best interest of my clients. I’m also on a mission to inform teachers about this commonly available variable annuity. Today I’m going to break down an annuity that is issued by AXA Equitable Life Insurance Corporation. Unlike other fee-only planners, I find that some annuities may be a part of a comprehensive financial plan when used correctly. My goal is to make my review of annuities as impartial and objective as possible. 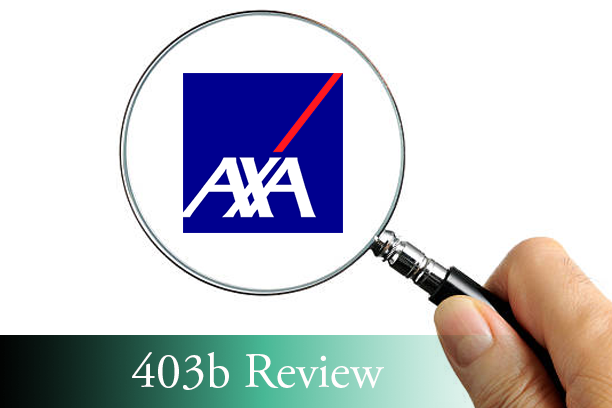 How will this AXA annuity product review help you? If you are like many school district employees, there is a good chance you are using a 403(b) plan as a way to supplement your pension in order to build a healthier retirement. Many of you probably signed up with a sales rep or agent that came to visit your school. Maybe they bought you lunch in the teacher’s lounge and gave a short presentation about the basics of the 403(b) plan. You listened and absorbed as much as you could, but there is a chance that some of the facts were not fully understood during the sales process. The world of investments can be intimidating, but really it’s like any other shopping experience. You want to compare prices and features, and understand exactly what you’re buying. This review will help you do that. Learn facts/information you need to know about one of the most popular products being sold in school districts around the country today so that you can decide whether or not it is a good fit for you. Get familiar with the various types of fees so that you’ll know exactly what you’ll be charged by the AXA Equi-Vest variable annuity. Understand how to compare this product’s fees, features, and benefits against other available 403(b) investments options in order to determine whether this product is reasonably priced. Gain a much clearer sense of whether this annuity fits your individual savings needs so that you can make an informed decision. This is a review, not a recommendation to buy or sell a variable annuity. AXA has not endorsed this review in any way, nor do I receive any compensation for this review. This review is meant to be an independent review at the request of a client so they can see my perspective when breaking down the positives and negatives of this particular annuity model. Before purchasing any investment product, be sure to do your own due diligence and consult a properly licensed professional should you have specific questions as they relate to your individual circumstances. This information was gathered from their prospectus dated May 1st 2018 and is not a substitution for individual tax or legal advice. I’m just reporting on the main facts; to find answers specific to your situation may require a review of the full prospectus for applicable the details. AXA Equitable Life Insurance Company is the #1 provider of retirement plans for K-12 schools, serving more than 820,000 participants in over 17,000 plans. The AXA EQUI-VEST® 201 series for 403(b) plan is a deferred annuity contract that is designed for school district employees. *Standard and Poor’s Rating Service provides ratings which measure the claims-paying ability of an insurer. These ratings are the opinions of an operating insurance company’s financial capacity to meet the obligations of its insurance policies in accordance with their terms. Investment Options: AXA EQUI-VEST variable annuity offers a wide range of investment options inside this contract. It offers Structured Investment Options (SIO) that enables you to invest for growth with some downside protection for a set period of time. Personal Income Benefit investment options give you the ability to turn your retirement savings into an annual withdrawal benefit. Investors have access to over 80 variable investment options including numerous equity and fixed income portfolios as well as various asset allocation and target date portfolios. This is something you want to look very closely at if you are still working and making contributions to your retirement plan. For someone trying to save for a retirement, fees are an important consideration. Let’s examine each fee and how they stack up against other investment options. Administration Charge: This fee is charged on the insurance side and it will be the lower of either 2% or $30 of your account value plus any amounts withdrawn. They won’t charge you the $30 fee if your account value is $25,000 or more. This fee is pretty standard for annuity contracts of this nature. Separate Account Charges: This is what the AXA Variable Annuity calls the M&E or mortality and expense fee at 0.95%, and they add another 0.25% for a total fee of 1.20%. This fee comes right out of your account annually for the life of the investment, whether your investments earn money or not. It compensates the insurance company for the risk it assumes under this particular annuity contract, and it applies to all variable investment options. This charge is common for variable annuities, but it’s not something you have to pay with all annuities. A variable annuity is the only type of annuity that charges the M&E fee. Mutual funds typically do not charge you this fee. While 1.20% might not sound like that much, this fee can make a significant difference to the value of your portfolio when you retire. The SEC’s Office of Investor Education and Advocacy has issued bulletins warning investors how much fees can impact the growth potential of a portfolio. While the difference between .25% and 1% might not sound like a lot, assuming a hypothetical investment of $100,000 earning a 4% annual return, in 20 years’ time, that difference could reduce your portfolio by nearly $30,000. That could mean the difference between retiring early or late. Once you do retire, the difference between paying 1% or 2% could mean running out of money sooner. Underlying Portfolio Operating Expenses: This is another ongoing fee charged for the investments inside of the variable annuity. Detailed information about these fees can be found by digging through the prospectus. I did that for you. The internal expenses of the sub-accounts for this particular variable annuity range from 0.61% to 2.09% and average around 1.03%. Personal Income Benefit Charge: This is the charge for Income Rider, an optional fee common for deferred annuities. This fee is charged by the life insurance side to cover the cost of providing the “Personal Income Benefit.” For this benefit, you will pay 1% annually, based on the value of your Personal Income Benefit account. One percent is a pretty standard charge for income riders, but do you need it? For the younger investor in their 40s or 50s, paying the additional 1 percent for an income guarantee now may not make sense, especially when you consider that the income rider fee is assessed for the life of the policy. I’ll be going into the details when we get to the benefits and features section. Withdrawal Charges: In addition to all the fees listed above, the AXA Equi-Vest variable annuity also charges a surrender fee (sometimes known as a withdrawal charge). Typically speaking, a surrender fee is only assessed when an investor makes a withdrawal prior to a specified time. Deferred annuities are long-term contracts and most annuities of this type charge surrender fees during the first 5 to 10 years of the contract. They also typically allow a 10% free withdrawal amount subject to federal income tax withdrawal restrictions. It’s very common for people to withdraw money from their retirement plans. One in four workers currently in a qualified plan will take some form of an early withdrawal from a 401(k) or similar plan (according to the 17th annual Transamerica Center for Retirement Studies (TCRS) report). One thing to be aware of with this particular annuity is that the surrender charge is based on how long your contributions have been in the contract. For example, if you are contributing $1,500 a month to your retirement plan, and 10 years into your contract you want to make a small withdrawal to pay off your home, you would have to pay 5% to AXA on any contributions made during the five previous years. Furthermore, withdrawals may “significantly reduce” the future income payments of the Personal Income Benefit for which you’re paying that additional 1%. There are situations when the withdrawal charge is waived—for example, if you are confined to a nursing home for more than 90 days—and they no longer apply after the completion of 12 contract years. How do the fees in this particular annuity stack up against the fees inside other investment options? According to one analysis from the independent investment research company Morningstar, the most popular version of the AXA Equi-Vest annuity has total annual operating costs that can range from 1.81% to 2.63%. By contrast, the average investment fees for mutual funds inside a 401(k) retirement plan cost investors 0.88%, according to a 2015 BrightScope report. However, variable annuities offer features and benefits that may not be available with other investment options. Whether the higher fees make sense for you will depend on your specific needs and situation. HOW IS AXA PAYING THE AGENT? The salespeople who come out to your workplace and present you with investment options typically earn a sales commission whenever they get someone to buy into their annuity. AXA Equitable pays contribution-based and asset-based compensation to their agents. Brokers generally receive an up-front commission when they sell a variable annuity. This annuity also gives the agent commissions based on your contributions. AXA pays agents 1.5% to 2% commissions on every future dollar you contribute to your 403(b) annuity. This creates ongoing compensation for your broker. If you’re contributing the maximum 2018 amount of $18,500 to your plan and, if over 50, also taking advantage of $6,000 catch-up contributions, then AXA could be paying as much as $490 a year to your broker. EQUI-VEST® is a deferred annuity contract issued by AXA Equitable. This product is marketed as a solution to help supplement your retirement income needs. Its benefits include providing for the accumulation of retirement savings via tax-deferred growth. The contract also offers death benefit protection and, as discussed earlier, it offers a Personal Income Benefit for an additional cost. A variable annuity is a type of deferred annuity, so there are two phases to your contract: the growth phase, and the income phase. During the growth phase, you can invest on a tax-deferred basis in one or more of AXA’s variable investment options or guaranteed interest options (GIO) or structured investment options (SIO). There is no charge to move among the investment options. The sales agent may also tell you that these investments all benefit from tax-deferred growth. If you have a 403(b) plan, then you’re already getting tax-deferred growth. It’s a perk that comes with the plan. Buying this variable annuity or any annuity cannot give you double tax-deferral because there’s no such thing. Furthermore, any investment that you purchase inside your 403(b) account can give you tax-deferred growth. There is no additional tax benefit to you when you buy this annuity inside a 403(b) or retirement plan. AXA also reminds you that you should buy this annuity based on its features and benefits, so let’s take a look at those. Variable annuities invest directly in the market, and as such, they can lose money just like stocks and mutual funds. The death benefit is often sold as a way to guarantee that even if the market goes down and your contract loses money, a death benefit would still be paid. In this case, the AXA Equi-Vest variable annuity agrees to pay out your total contributions even if your account takes a terrible market hit. First, the death benefit is only paid out if you die. It does not guarantee that your account won’t lose money. Second, this benefit doesn’t come free. You’re paying for it with the M&E fee we talked about earlier. Third, you really have to ask yourself, what are the chances that you will die during the same year as a big market downturn? Let’s say hypothetically you’ve contributed $100,000 over a 15-year period, and the investment performance helped it grow to $150,000 over that time period. Then the market takes a turn for the worse and drops by 30%. You basically lose all the returns you’ve gained. You see a $45,000 drop in your total account value, and your new account balance is now $105,000. You have a heart attack and go into the hospital. But you remember you have a death benefit! So, even if you die, you’ve been paying that 1.25% M&E fee all this time to guarantee that your beneficiary (in this case, your spouse,) will still get all the money you paid into this account. Then, you do the math and realize, you’ve only paid in $100,000. Even if you do die, your account didn’t drop below your total contributions, so the death benefit guarantee did not provide any guarantee in this example. Statistically speaking, the chances of meeting with an untimely death when the market is down AND when you’ve lost a portion of your contributions may be relatively low. Yes, it could happen. But you should consider whether the cost of this feature is worth the potential benefits you could receive. Case in point: A class action lawsuit brought against Hartford Life on behalf of about 24,000 municipal employees in San Diego County and Los Angeles CA illustrates one potential outcome: The plaintiff’s lawyers asked Hartford Life during the discovery process how much in death benefits the company had paid in the 17 years that both the San Diego and Los Angeles plans had existed. The answer: $119. The Personal Income BenefitSM is a “pension-like” plan benefit, available through the Retirement Gateway® group annuity, which the company says provides guaranteed withdrawal payments and helps employees be more confident about retirement. The Personal Income Benefit investment option is available to plan participants between the ages of 45 and 85. Annual fee: 1% of the participant’s Personal Income Benefit account value. Features: The amount of your income withdrawals under this feature will never decrease—unless of course you make early or excessive withdrawals as specified by the contract. These are pretty standard features that typically come with most income riders sold on annuities, and you can get them for less cost. What’s different about this annuity is that you remain invested in the stock market even while you are taking income withdrawals, which is why you have those additional fees. Does that mean you get to earn higher returns? For the investor who is age 65 and near the time of retirement, this might give you a layer of protection, but keep in mind that with this type of annuity, you’ll be paying over 2.5% annually just to get this benefit, and these fees negatively impact your return potential. AXA also gives you other options if you don’t want to pay the income rider fee. In fact, that’s one thing this annuity does have—a lot of choices. If you’re looking for protection from market risk, you may select the Structured Investment Option (SIO) available within certain EQUI-VEST variable annuities. The SIO enables you to seek growth, up to a limit, with some downside protection. But how good is the protection? Okay. So, then you might select a Target Date Allocation Portfolio. This option gives you different investment strategies designed to adjust with you as you move through the phases of your life and become more conservative. Does being more conservative inside this variable annuity mean you won’t lose money right before your retirement date? How about the Guaranteed Interest Option (GIO)? This offers a guaranteed rate of interest and a guarantee of principal. That might sound good for someone who is nearing retirement and wanting to protect their nest egg. But how much can you protect? Let’s recap: As a participant in a 403(b) account, you have a choice to invest in either annuities or mutual funds. As previously noted, mutual funds may be less expensive, but do not offer the same features and benefits. However, in general, variable annuities will add at least 1% in costs just for the M&E fee alone, not to mention the fees for the variable sub-accounts and income riders that can (and often are) added on. Over time, these additional costs can negatively impact your return potential. Tax-deferred Growth: One of this annuity’s main advantages is that the investments inside this product give you tax-deferred growth. Investments growing tax-deferred can accumulate and compound untouched by federal, state, or local income taxes until you begin making withdrawals, which is usually after retirement. This is a good thing. But you’re probably already getting this benefit. All deferred annuities provide tax-deferred growth potential, not just this one. Any investment inside a 403(b), 401(k), IRA, or tax-qualified retirement plan has the potential to grow tax-deferred, even if they aren’t inside an annuity.  A variable annuity in a 403(b) does not give you any additional tax benefits. Overall Fees: There are additional fees associated with variable annuities that are not found in other types of annuities or mutual funds. If you don’t need the benefits of an annuity at this time, then paying for these fees for the next 10 to 20 years may not be in your best interest. Over time, higher fees can negatively impact your return potential.  The variable annuity carries additional fees that should be considered. Deferred annuity contracts such as EQUI-VEST® provide for conversion to payout status at or before the contract’s “maturity date.” This is called annuitization. When your contract is annuitized, your money is converted into payouts (this being the payout phase). During this phase, you may receive periodic payments for life or for a specified period of time.  The contract may be annuitized. Before buying into an annuity, it’s important to understand how it works, what benefits it may provide, the cost to you in fees, and perhaps most importantly, the role it can help play in your overall retirement plan. If the annuity doesn’t help move you toward your retirement goals, then it might not be the right choice for you. When this investment might make sense: If you have already maxed out all your qualified retirement accounts and would like to put aside more money into a tax-deferred account, then a variable annuity might be an appropriate option. However, think carefully about whether or not this specific variable annuity with the structure of its surrender fees, agent commissions, and income rider options would best support your retirement goals. You may also want to consider the relative features, benefits, and costs against or with any other investment that you may use in connection with your retirement. Be sure to read carefully the marketing materials and prospectus, and if you don’t understand what you’re paying for, ask questions and receive a full disclosure before making a decision. If you currently own this annuity: Now may be a good time to take another look and evaluate this product in light of your long term goals. If you are interested in a more detailed analysis specific to your situation, feel free to contact me. Thanks for reading this review. It’s always satisfying for me to break down complicated financial products out there to try and provide some clarity on how they really work. If you have an annuity or other financial product you’d like to see an in-depth review on just let me know, I’d be happy to take a stab at it. If you know a teacher or someone who is thinking about an annuity and might benefit from this post, feel free to forward it on to them via email. If you have a Facebook account, one of the best ways to spread this message around is by “sharing” the post by using the Facebook icon below (it’s a blue square with a white F on it). Thanks again for reading, and as always, if you have any questions or would like to have your retirement portfolio reviewed, don’t hesitate to reach out and schedule your no-obligation consultation. 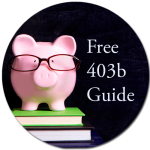 Get your FREE 403b GUIDE. None of the third parties referenced in this communication are affiliated with Warwick Valley Financial Advisors, Private Advisor Group or LPL Financial. Variable annuities are long term, tax-deferred investment vehicles designed for retirement purposes and contain both an investment and insurance component. They have fees and charges, including mortality and expense risk charges, administrative fees, and contract fees. They are sold only by prospectus. Guarantees are based on the claims paying ability of the issuer. Withdrawals made prior to age 59 ½ are subject to 10% IRS penalty tax and surrender charges may apply. Gains from tax-deferred investments are taxable as ordinary income upon withdrawal. The investment returns and principal value of the available sub-account portfolios will fluctuate so that the value of an investor’s unit, when redeemed, may be worth more or less than their original value. The target date is the approximate date when investors plan to start withdrawing their money. Riders are additional guarantee options that are available to an annuity or life insurance contract holder. While some riders are part of an existing contract, many others may carry additional fees, charges and restrictions, and the policy holder should review their contract carefully before purchasing. Guarantees are based on the claims paying ability of the issuing insurance company. The MSCI EAFE Index is a free float-adjusted market capitalization index that is designed to measure the equity market performance of developed markets, excluding the US & Canada. The MSCI EAFE Index consists of the following developed country indices: Australia, Austria, Belgium, Denmark, Finland, France, Germany, Hong Kong, Ireland, Israel, Italy, Japan, the Netherlands, New Zealand, Norway, Portugal, Singapore, Spain, Sweden, Switzerland and the UK. Securities offered through LPL Financial, Member FINRA/SIPC. Investment advice offered through Private Advisor Group, a registered investment advisor. Private Advisor Group and Warwick Valley Financial Advisors are separate entities from LPL Financial. Investors should consider the investment objectives, risks, charges and expenses of the variable annuity contract and sub-accounts carefully before investing. The prospectus and, if available, the summary prospectus contains this and other important information about the variable annuity contract and sub-accounts. You can obtain contract and sub-account prospectuses and summary prospectuses from your financial representative or by clicking on the prospectus link within this article. Read prospectuses carefully before investing. As a teacher, knowing facts is part of the job. But when it comes to 403(b) plans, many teachers and educational administrators will readily admit that they don’t have all the facts. As a financial advisor, it’s my job to present facts to clients so they can make informed decisions. Over the past few years I’ve discovered that many of my 403(b) clients were paying for insurance benefits to protect their retirement savings and getting charged exorbitantly for it. The goal of this article is to shed some light on Variable Annuities and one fee that can take a significant chunk out of your savings. One of the most important things to know if you participate in a 403(b) retirement account is that you have the choice to invest in either Annuities or Mutual Funds. If you aren’t sure what the difference is yet, we highly recommend you first read our Teacher’s 5-step 403b Shopping Guide. If you have been sold a Variable Annuity, it’s imperative to find out which fees you are being charged for and if they can be avoided. There are many additional insurance related fees associated with Variable Annuities that are not found in Mutual funds. These fees pay for insurance guarantees that are automatically included in the annuity, and the selling and administrative expenses of the contract. The one that often goes unnoticed is known as the Mortality and Expense Charge (aka the M&E fee or the Death Benefit). The death benefit is one of the highest fees incurred in association with insurance-based retirement accounts, and statistics show that almost nobody “benefits” from its presence, except for the insurance company charging you for it. The death benefit feature is found in variable annuity products that are sold by many insurance companies. This benefit guarantees that if you die, your beneficiaries will receive the greater of two values: The current value or the total amount you contributed over the lifetime of the account. This feature is being sold to prospective buyers as an attractive benefit. They assert that it will protect the money that you contributed to your account, should the market cause the annuity to lose money at the time of your death. This might seem like a comforting safety feature to have, but let’s weigh the costs and see if they are worth it. So what are the statistical probabilities of this death benefit paying off? HOW MUCH IS THIS COSTING YOU? Now that you know the odds of receiving this “benefit”, it’s time to figure out how much it is costing you. Death benefit fees on average are usually 1.25% of the total value of the account per year ². This may not seem like a lot, but as the years go by, it becomes much more significant. Imagine what you pay in this fee alone over 30 years as your investment grows. I can tell you that it will probably be much more than the amount your beneficiary could lose on your contributions, were you to die young, unexpectedly, and in a time of a market low. If you participate in a 403(b) plan, you have the choice to either invest in annuities or mutual funds. Mutual funds don’t carry the insurance based fees that annuity companies charge for. Both Mutual Funds and Variable Annuities have investment related fees. These fees can range from high to low and you can choose to invest in lower fee investment choices in order to keep your expenses low. You want to make sure that you are getting good value for every dollar of investment expenses you pay. This is because every dollar you save from fees & expenses (i.e. 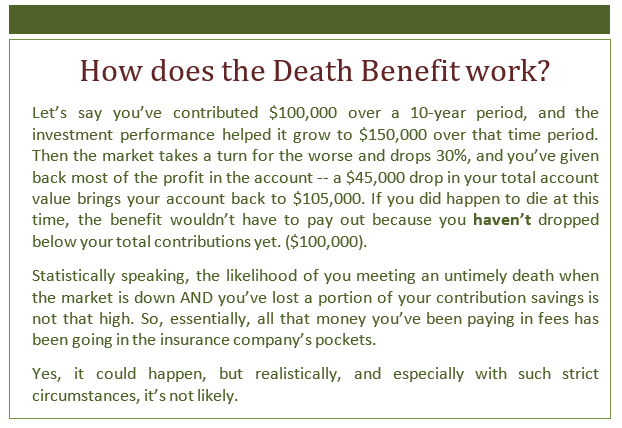 the death benefit fee) is one more dollar that has the potential to grow in your 403(b) account. • Is my 403(b) invested in annuities or mutual funds? 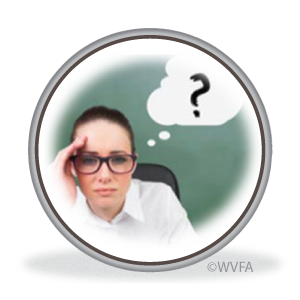 • Do I currently pay a fee for the Mortality and Expense (M&E) Charge (aka death benefit)? • How much am I paying in total fees and can some of these be avoided? • Is my current 403(b) vendor competitive with the other options available at your school district? If you need help finding answers to the questions, please contact us. One phone call could have big impact on how you save for your future! the issuing company. Withdrawals made prior to age 59 are subject to a 10% IRS penalty tax and surrender charges may apply. Variable annuities are subject to market risk and may lose value. All illustrations are hypothetical and are not representative of any specific situation. Your results will vary. Let’s be honest. Life is busy. Sometimes even knowing what types of retirement options are available to you—or even which ones you have–is difficult enough, without allocating the time to really understand each. Perhaps all too often, things are left to auto-pilot when it comes to paycheck designations – you opt-in because you can. But in the case of teacher’s 403(b) retirement plans, brushing up on the specifics of yours may be well worth your effort. In fact, it can potentially gain you thousands more in the long run – and really takes little more than just some smart homework. So…. let’s start with the very basics, and get you on track to maximize the money you’re striving to sock away for later, or at the very least, to become aware of the power you hold toward such noble pursuits in the future. Money that comes out of your paycheck and which is automatically invested into an account which is not reportable as income now, but will be when paid out during retirement. A contracted account offered by an insurance company where a lump sum of money is deposited for the purpose of being paid out at a later date, in either equal installments or in proportion to how well it accumulates with investment strategies applied over time. Either an insurance company, an investment firm or a retirement account custodian that offers 403(b) plan options to employers. These vendors choose portfolios to invest the money in to hopefully increasing its principal value over time and setting plan rules, regulations and annual fees. Accounts set up by Providers that are meant to take in money now from clients and pay it back out to them later in installments as a means of seeking to establish a retirement “income,” after it has been invested toward growth over time in such things as stocks and mutual funds, etc. Examples include annuities, mutual fund retirement accounts, and combination programs. A 403(b) is a retirement savings program much like a 401k, but has special allowances tailored specifically to the teaching profession and a few others (because they have certain exemptions as public educational institutions, not-for-profits or as certain types of churches). When you work as a teacher, it is likely your school district employer will offer you the opportunity to contribute to a 403(b), helping you save for retirement, reducing your taxable income, potentially matching your funds (if you’re lucky enough to have an employer choosing to offer this) and in many cases, allowing you to decide your amount of contribution up to a maximum set by the IRS. What makes a 403(b) special is that you do not need to pay taxes on the money contributed into the account now (it’s tax-deferred). When the money begins to produce regular pay outs in the future, assumably at the time of retirement, you will then be taxed on it as regular income–but as a retiree and typically at a lower rate. If you work as a teacher, chances are you have had the opportunity to enroll in your district’s plan, or one of the plans they offer if multiple. But just because your employer has chosen a plan for you and you’ve opted in with reductions from your paychecks, it doesn’t necessarily mean these work best for you as is. In fact, it may not, as employers choose plans for a variety of reasons supporting their best interests—and these may not necessarily mesh with yours. This doesn’t always mean you’re locked into their default settings; sometimes switching to another “provider” for your plan (plans are set up for employers by different vendors) is allowed–and can help you to pursue optimal dollars for the future, once able to properly compare alternatives and their different offerings. Similarly, sometimes you can change some of the options within your plan. You’re already doing the hard work daily. Why not reap the most reward that is in essence, your earned cash? 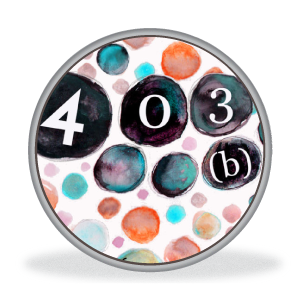 What are some common types of 403(b)’s? 403(b) plans can either place your pre-tax investment dollars into annuities or mutual funds so they hopefully will grow over time. Such investments are chosen and managed by the vendor which provides your employer’s plan, and which manages the portfolio therein; diversifying investments based on what they feel will serve best for their clients, ensuring, in theory, good growth over time and reasonably low risk, and the benefit of relatively safe, low-maintenance investing. Who are some 403(b) Providers? Simply put, providers can be institutions like insurance companies, investment firms that run mutual funds or retirement account custodians that set up diversified 403(b) plan products and offer them to employers. These providers set up rules for the plan including minimum contributions, possible commissions for their investing services, time before payout is available without penalty, annual and other fees, if there might be a Roth 403b feature (look out for our future post explaining this type of offering), etc., and they pick investment portfolios in which to hopefully grow your money while it “sits.” Examples are financially savvy companies like Fidelity, Vanguard, FTJ Fundchoice and Aspire Financial. Although your employer chooses a provider for your 403(b) as previously mentioned, ranging from insurance companies offering annuities to financial institutions managing mutual funds to combination accounts, some districts allow you to override this choice and pick your own; some do not. Finding out what your specific circumstance is can be accomplished by asking a simple question of HR, and then doing some minimal research on the benefits of each of the alternative providers and what they offer, if you’re allowed a choice. Everyone has different investment strategies and goals, so it is important to make sure you are reasonably informed about where your money is going and why. We’ve found that many teachers that come to us have typically been invested in annuities and don’t have any idea about how much has been vested in these to date, or how their money is being managed within the constructs of their plan. It is a good idea to check into how experienced the investors running your plan’s portfolio are, and what their reputation is. 403b plans and specifically, annuities, often have hidden fees written in. This is certainly not uncommon. It takes but a simple but carefully-worded letter (see our post Do You Know How Much You Are Paying in Retirement Fees?) to identify if and what extraneous fees exist in your plan, if they are warranted for your goals and circumstances or should they be unnecessary for you – and believe it or not, this is often the case! Of further note, different providers have different operating rules and investment objectives which can vary greatly among product vendors and across investments. Some accounts impose surrender charges or restrictions on early withdrawals. It can be very useful to know what yours are now, should you feel they are not in line with what your needs or desires might be in the future. Additionally, some vendors impose commission fees on investment earnings, and some do not or have lower ones. Imagine! You could spend years contributing to a plan that may not serve you in the long run, or paying portions of your earnings for things that don’t apply to you or that you really don’t need–and which you can very simply, opt out of, or not be charged for in a different plan. These things add up and detract from the money you get when you retire, compounded monthly… over years into what can be quite a large sum of money by the time you reach withdrawal age! This is why it is important you find out as much as you can about the specific 403(b) you have and make a few smart decisions now. Examples include, discerning and choosing between different types of annuities that may carry varying degrees of risk, or, changing from a plan that owns multiple mutual funds requiring additional fees – to one that avoids these in its portfolio if preferable. future posts here, like What Questions to Ask When You Compare 403b Providers and What to Do if You’re Unhappy with Your 403b Provider. Should you need help weeding through that jungle, or if you simply would rather have someone do the work for you, we are here to help and are already familiar with the different common area providers and their plans. 403(b)s can be self-directed investing. While most people are happy to let their provider manage their money and investments once contributed to the 403(b), it is important to understand that in some cases, you can as well take a more active role in choosing exactly what mutual funds your money goes in to. If one is more comfortable with high risk, or has a good grasp of the market and investments, this might be something to consider if an available option for you. Either way, understanding that 403(b)s can be self-directed is an important fact to keep in mind over the term of your investing. Don’t Settle for Less–Pursue That Potentially Higher Return on Investment! Don’t let ignorance or a busy lifestyle stand in the way of protecting your future. You know what they say – an ounce of prevention is worth a pound of cure! Now that you’ve read up on 403(b)’s, it’s time to take some action and do a little hand raising yourself! 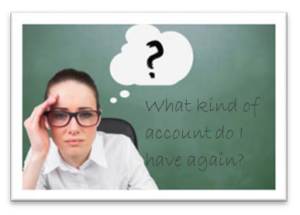 Once you’ve garnered some basic information about what type of account you have, and what type of fees you might be paying, you can take steps to better secure your financial situation should it be warranted. And we are here to help. Don’t Want to Go It Alone or Need Some Help? We’re Here. Please know that if you have any questions along your journey or if you’d like some advice or expert assistance, or even for us to do the hard work for you, we’re available to assist. Give a call to our office at (845) 981-7300 today or continue consulting our blog and future posts on this important topic, and empower yourself to take actions in your best interest toward the future you deserve. Good luck! Investing involves risks, including the loss of principal. Fixed and variable annuities are suitable for long-term investing, such as retirement investing. Gains from tax-deferred investments are taxable as ordinary income upon withdrawal. Guarantees are based on the claims paying ability of the issuing company. Withdrawals made prior to age 59 are subject to a 10% IRS penalty tax and surrender charges may apply. Variable annuities are subject to market risk and may lose value.